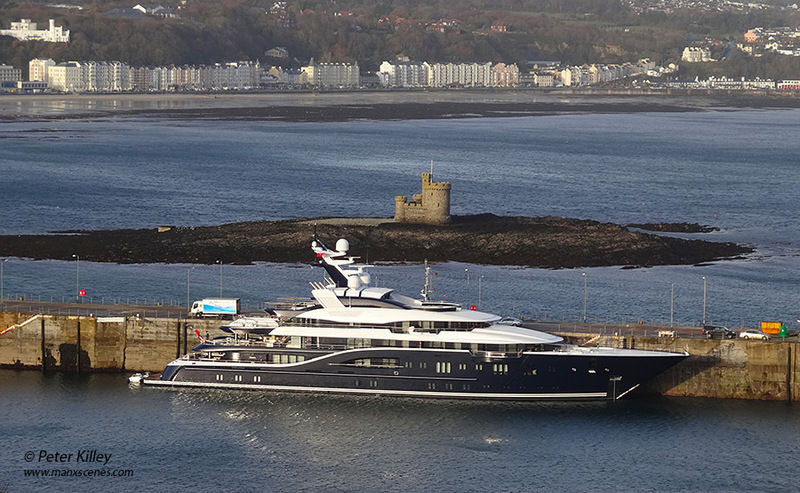 A visitor to Douglas Harbour – Motor Yacht Solandge was built this year (2013) at the Rendsburg shipyard in Germany and will be travelling on to the Caribbean after her visit to the Isle of Man. The 85-metre vessel which has 5 decks is ranked as the 62nd largest yacht of its kind in the world and was unveiled in June 2013. It comes complete with a crew of around 30. Thank you for your photographs of The Island. I have not been able to visit for many years but can always enjoy the beautiful views through you pictures. I hope to return some day but your photographs will keep me going until then. I use your photographs for my screen saver and enjoy them often. A grand boat in a lovely surrounding. The weather might be better in the Caribbean but it’s debatable whether the scenery will be an improvement on this.